New York, NY− September 19, 2017 - A rediscovered trove of renowned faces from The Marcel Sternberger Collection will be on view at the Sidney Mishkin Gallery at Baruch College, October 6 to November 3, 2017. An opening reception will take place on Thursday, October 5 from 6-8 pm. When 30-year-old Jacob Loewentheil rediscovered the photographic archive of Marcel Sternberger, which included thousands of images, he was so intrigued by the portraits that he embarked on a five-year journey that culminated in the publication of a book, as well as this exhibition. 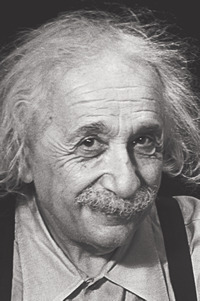 The Photographs of Marcel Sternberger: Portraits of the 20th Century consists of 40 images, including never-before-seen photographs of world-renowned luminaries such as Sigmund Freud, Diego Rivera, Frida Kahlo, David Alfred Siqueiros, Albert Einstein, the Shah of Iran, Indira Gandhi and Jawaharlal Nehru, and George Bernard Shaw. Whether it was of a politician, a coal miner, or a child, Sternberger’s portraits evidenced spontaneity and captured subjects with clarity and insight. Sternberger fled his native Hungary fearing reprisals after protesting the anti-Semitic regime in the late 1920s. 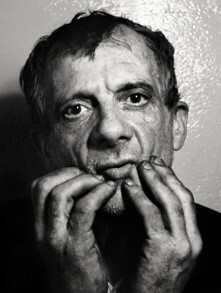 In Paris, he became a journalist for Le Soir, among other publications. 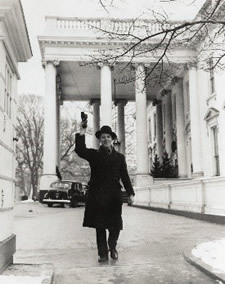 In 1932, he moved to Berlin where he met his soon-to-be wife, Ilse. 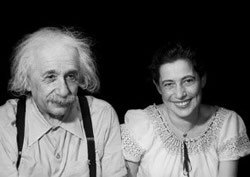 The two were to marry in June of 1933, but hurriedly married in April when they learned that the Nazis planned on confiscating the passports of Jews. After detention by the Gestapo they went to Paris and soon after, Antwerp. There he became Official Photographer to The Belgian Royal Family. As Nazism and Fascism spread across Europe, Sternberger and his family were able to flee to London with help from the Belgian Royal Family. After less than two years in London, he was invited by Franklin Delano Roosevelt to produce an official portrait in the White House. He would spend the next decade documenting luminary personalities across the United States. 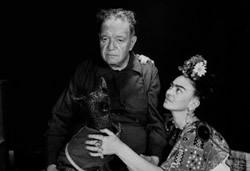 Later, he spent time in Mexico photographing the political and business elite and befriending Diego Rivera and Frida Kahlo. He died tragically in a car accident at the height of his career in 1956. Jacob Loewentheil is an author, antiquarian bookseller, and rare photography dealer. 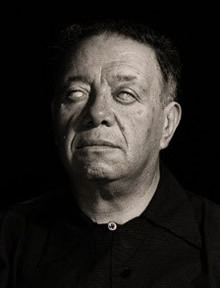 His book, The Psychological Portrait: Marcel Sternberger’s Revelations in Photography, contains excerpts from Sternberger’s unpublished manuscript, interviews with his prominent subjects, as well as approximately 206 photographs. Courtesy of the Marcel Sternberger Collection.